11:00am: Europa and Uncle Sam: Divorcing or Reconciling? Join EU@SXSW to learn more about the European Union and some of our key initiatives such as the Digital Single Market. Are you interested in connecting with some of Europe’s most innovative and dynamic startups? Keen to immerse yourself in European culture? Or simply curious about the EU, our Member States, our policies and our values? 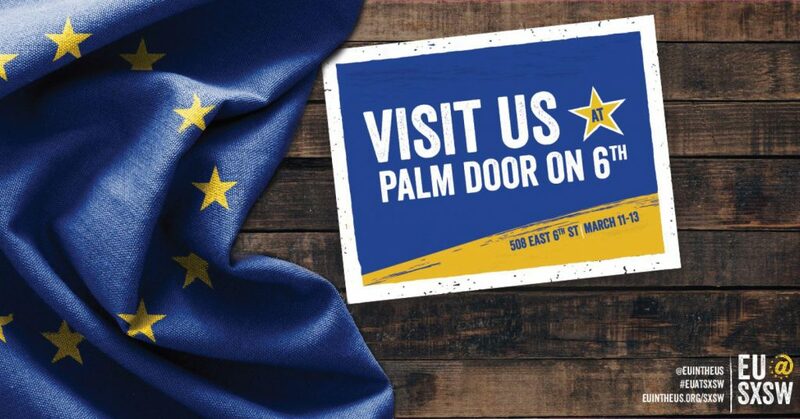 Come to see us at SXSW – we’re at the Palm Door on 6th – to have your questions answered!